Chess has its own Terminology, the so-called Chess Terms. You have to differentiate between the absolute pin and the relative pin. 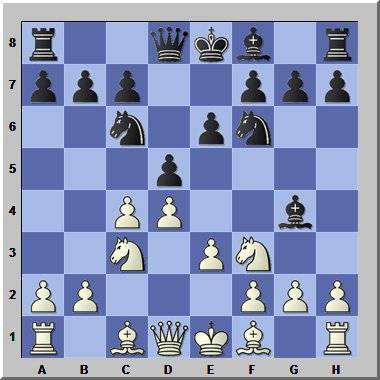 In the above position the knight at c3 is not allowed to move as this would be against the rules. So this is an absolute pin. 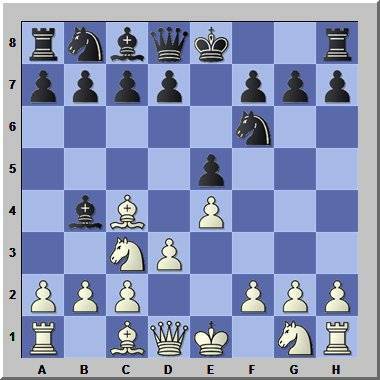 In the above position the knight at f3 is pinned against the queen but you can move it. 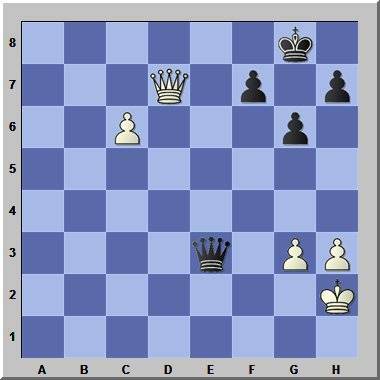 But to move the knight would be a bad move as you would lose the queen after that as bishop captures the queen. If you can give an endless series of checks then you can claim a draw. In the diagram above Black can give an endless series of checks and force a draw. A patzer is a chess player who often loses pieces or pawns without compensation while playing a game, as he leaves them on the board unprotected. He makes oversights a lot of times, ruins his position fast and loses quickly. A blunder is a gross oversight (a disastrous mistake) while playing a game of chess. An unprotected pawn that causes positional problems or material loss when captured. Often chess players leave pawns unprotected because they know that if captured they will get a strong position based on active piece play. So always use your brain before you capture an unprotected pawn or you might lose fast. There are chess players who prefer long-term maneuvering for advantage and dislike short-term attacks and threats based on extensive calculation of variations. Many masters like Anatoly Karpov play a prophylactic playing style that means they spot plans or strong variations of the opponent on time before they happen and prevent and ruin these beforehand. They are constantly alert and out to frustrate the opponents chances. This is a very successful approach to chess.